Important Note: From MySQL 5.6.8,query_cache_type is set to OFF by default. So if you haven’t explicitly turned it ON on old version, it may not work anymore! mysql -e "show variables like 'query_cache_%'"
Please note that query_cache_strip_comments variable is available on Percona & MariaDB mysql variants as of now. Just turn it ON. From mysql 5.6.8 its OFF by default. If this is OFF, you will see error “[!!] Query cache is disabled” when running mysqltuner. Earlier mysql version used to setquery_cache_type = 1 butquery_cache_size = 0. If either ofquery_cache_type andquery_cache_size is set to 0, query_cache gets disabled. Default is 1MB. You can set it upto 4GB but very high values are not recommend for sites where tables are modified quite frequently. In WordPress scenario, if you have a multi-author blog, or some other custom post types, then query cache prunes might be frequent. Query cache is invalidated for entire table even if a small value is modified. Default is 1MB. You can set it upto 4GB. Again very high values are not recommended. Better optimize your codes to not fetch too much data in one query. If you need 10 rows, add pagination, WHERE conditions rather than fetching all rows from mysql and then using only 10 rows out of them! Many references on Internet will tell you that query cache is useless if InnoDB is being used. Well if you are using InnoDB only and have limited RAM, InnoDB buffer pool without a doubt should get first priority. If you have some spare RAM, it is highly recommended to use query_cache for WordPress sites. Even for big WordPress sites, most likely percentage of SELECT queries will be much higher as compared to INSERT or UPDATE. 100% Query cache efficiency may not be possible for 100% read-only sites but try to stay above 50%. 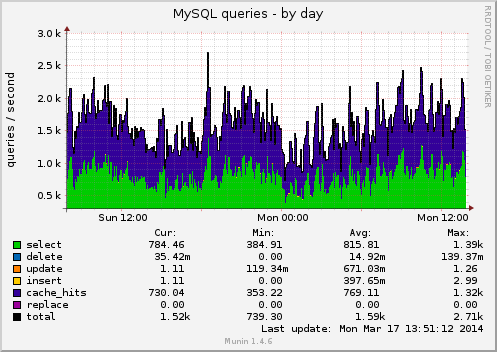 query_cache_strip_comments option is available with percona-mysql only. If you are using oracle-mysql, you can skip that option. We dont know how there is only 46% of query cache efficiency. 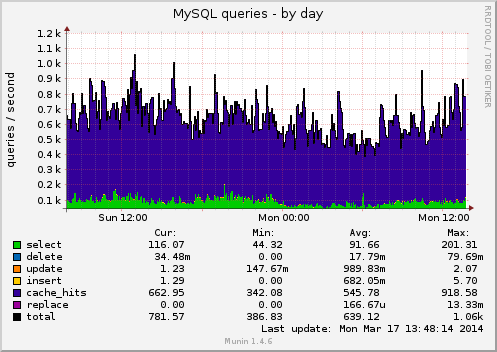 With percona mysql server was near 90%. Never used MariaDB so no idea about it. Sorry.